Born at Birmingham, England in August 1874, he was educated at Queen’s College, Taunton, and at several German universities. 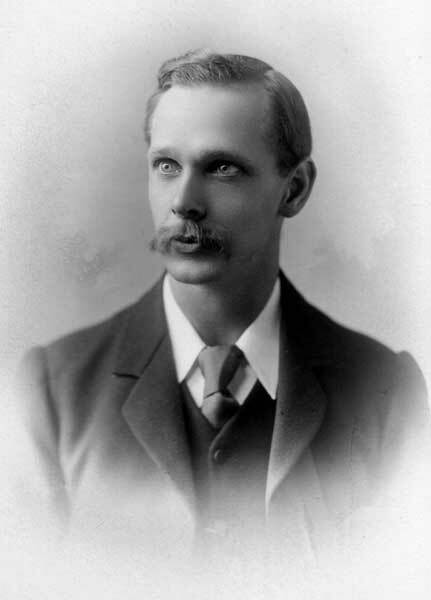 After a brief stay at the University of Birmingham, Buller was one of the first six professors hired by the University of Manitoba, in 1904, the others being Frank Allen (Physics), Gordon Bell (Bacteriology), Robert Rutherford Cochrane (Mathematics), Matthew Archibald Parker (Chemistry), and Swale Vincent (Physiology and Zoology). Buller specialized in mycology, the study of fungus. Buller and his colleagues founded the Scientific Club of Winnipeg, in 1905. He was elected to the Royal Society of Canada in 1909, becoming its President in 1927. He was awarded an honorary degree by the University of Manitoba in 1924. In 1929 he was awarded the Royal Society of Canada’s Flavelle Medal, and in 1937 he was elected a fellow of the Royal Society. He received the Natural History Society of Manitoba Bronze Medal in 1936. His major work was Researches in Fungi, 7 vols. (1909-34). He wrote Essays on Wheat (1919) and Practical Botany (1929). Buller also wrote limericks, some of which were published in Punch. He died at Winnipeg on 3 July 1944. He is commemorated by the Buller Building at the Fort Garry campus of the University of Manitoba. In 2013, his cremains were enclosed inside a monument standing in front of the building. “Arthur Buller: Pioneer Leader in Plant Pathology,” by R. H. Estey Annual Review of Phytopathology 24(1986): 17-25.